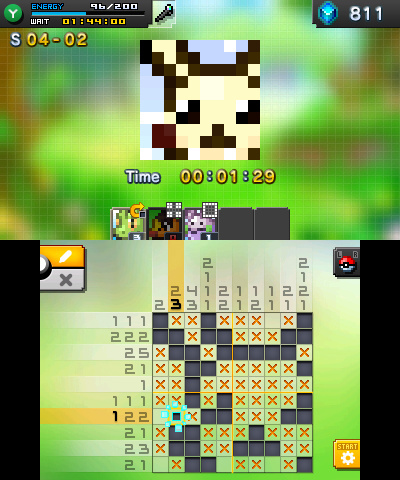 Turn puzzles into portraits with Pokémon Picos! 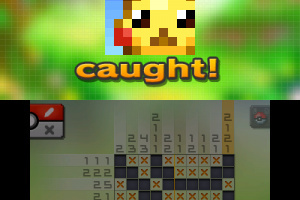 Pokémon Picross can be downloaded without charge from Nintendo eShop for systems in the Nintendo 3DS family. 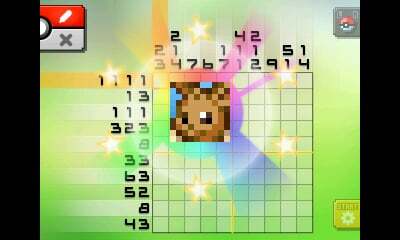 In Pokémon Picross, solve number puzzles to complete pictures of your favorite Pokémon. 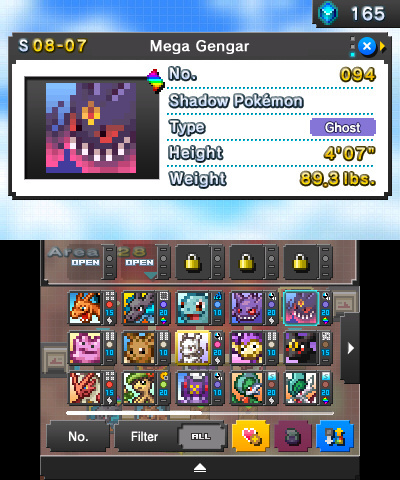 When you complete a puzzle, you'll add that Pokémon to your collection! 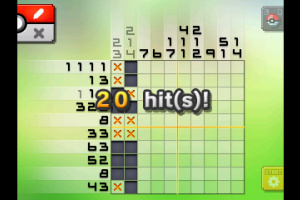 To solve a puzzle, look at the hint numbers above each column and next to each row. They will identify the number of squares that will be filled in on that row. Deduce where the squares are and fill them in to reveal a Pokémon portrait! 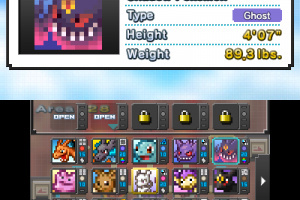 Collected Pokémon can help you solve puzzles using a variety of skills. 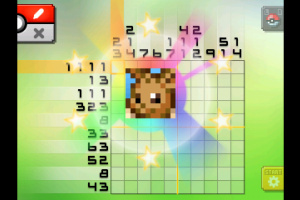 For example, Eevee's Rising Reveal skill reveals squares vertically, centering around an activation square. 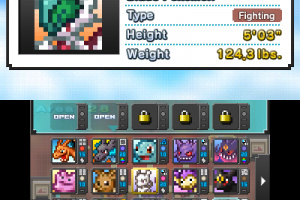 Lucario's Hyper Scan skill scans the grid and fixes incorrect squares. 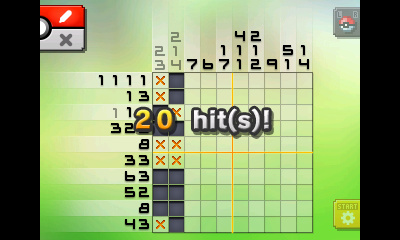 And Squirtle's Blue Force changes the color of hint numbers to blue on rows with squares you can definitely fill in. If certain Pokémon use their skill even once, they will run out of power after you exit a stage. Pokémon will recover from their out-of-power status as time passes. There are 12 skills in all and their effects vary. 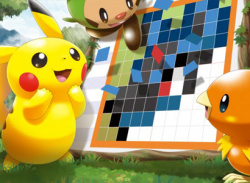 Have fun collecting a lot of Pokémon and solving puzzles with their help! 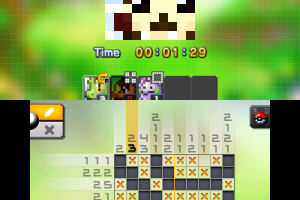 There are over 300 puzzles for you to clear, plus an advanced mode. Daily Training can also help players improve their skills. 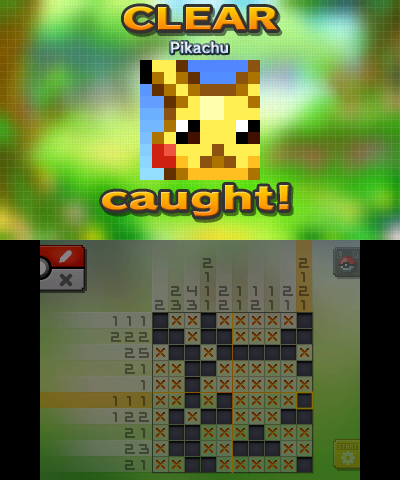 Thanks to the large number of puzzles, many Pokémon appear in this game. In addition to familiar Pokémon, all Mega-Evolved Pokémon that have appeared through Pokémon Omega Ruby and Pokémon Alpha Sapphire show up to help and challenge you in this game. Be sure to keep an eye out for Legendary Pokémon and Mythical Pokémon! 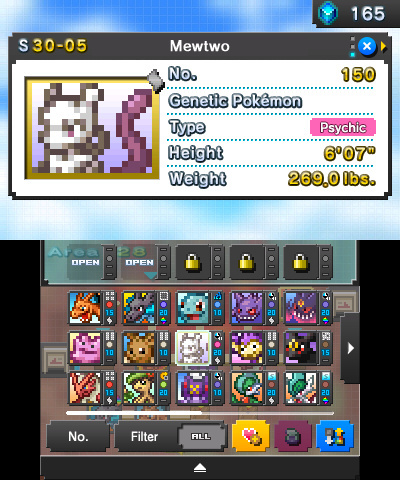 Try to solve many puzzles and collect many Pokémon. Picrites are rare stones with magical power. 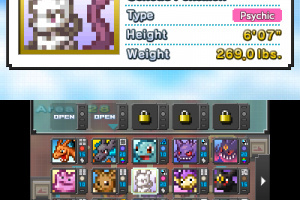 You can obtain them in various ways during your gameplay, such as by clearing a puzzle. With Picrites you can access more and more areas. You can also help the Pokémon recover their skills by using Picrites. Picrites may also be purchased with real money in Nintendo eShop. 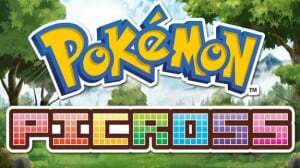 I would give this game a 2/10 cause I couldn't get past the fifth level, even with using all my Pokemons special abilities.